Every man wants a personal space surrounded by high-tech gadgets, playstation, comfy recliner and refrigerator full of beer. How about a man cave that gives you more than you imagined? 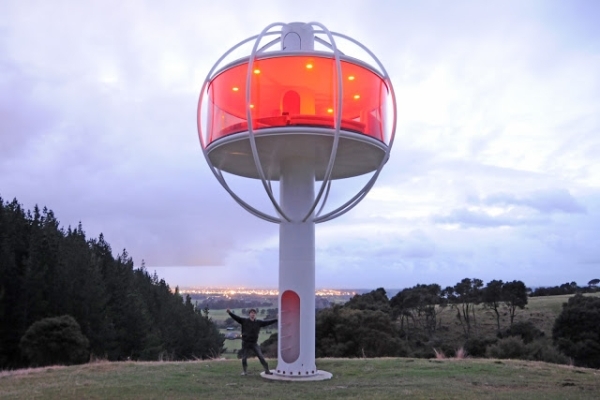 Well, New Zealand-based engineer and inventor Jono Williams with the help of his mate Grant Ramsay has created unique voice-controlled man cave, Skysphere. Tired of rushing to work in crowded public transport or manual bicycle? 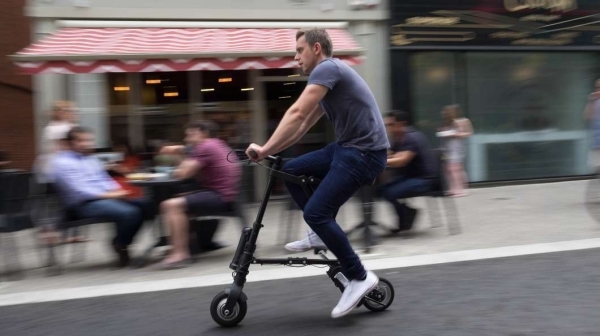 Well, you can easily get rid of this day-to-day messy traveling, all thanks to the world’s smallest electric bike dubbed A-Bike Electric. This compact bike is based on the original A-Bike concept design, which was created by British inventor Sir Clive Sinclair. Would you wear the iconic Batman suit covered in tree bark? Super fans of Batman not only love to collect merchandise related to their favorite superhero, but also cosplay- wearing the iconic all-black Batman suit. 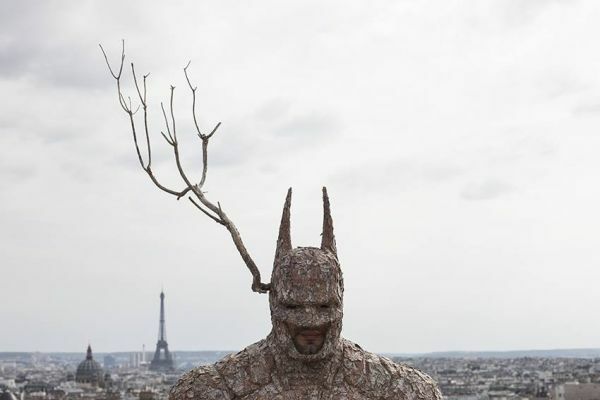 Taking the passion of wearing costume to a whole new level, France-based artist Christophe Guinet has given an organic makeover to the Batman suit using tree bark. Guinet is also popularly known as Mosieus Plant or Mr. Plant, probably due to the natural plant material he often uses to shape his creations. Music lovers, have you ever heard of Howlin’ Rooster Guitars? Well if you haven’t, then let us inform you that it is a Dubai-based handmade guitar manufacturing firm,started by 27-years-old Syrian-Canadian Basil Azizoghly. 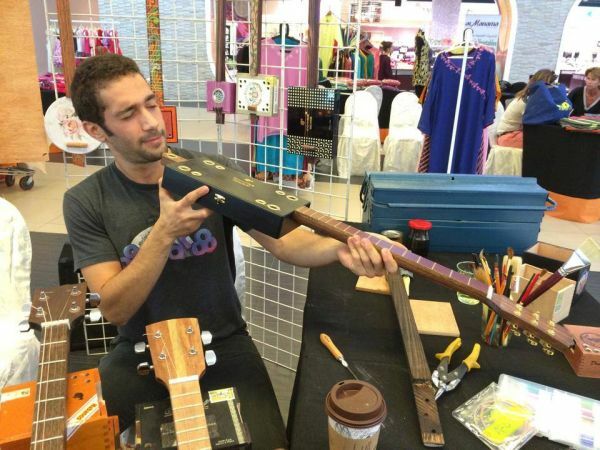 It has become a popular pop-shop over the past two years due to their handcrafted guitars, which are made from salvaged wood and recycled boxes. 3D printing technology has already touched musical instruments, giving them a revolutionary makeover. 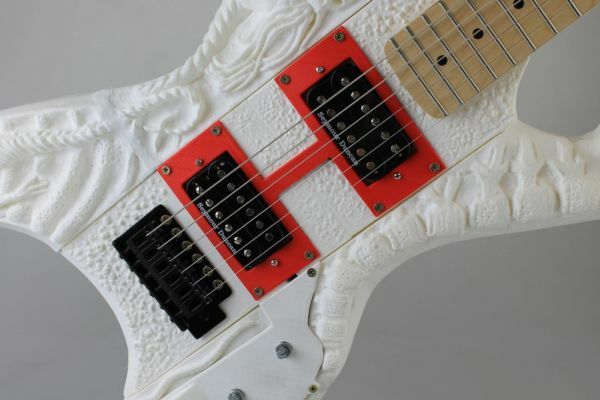 Now the latest addition to harmonious instruments is the gorgeous 3D printed guitar by Italian designer Francesco Orrù. He got highly influenced by H.P. Lovecraft’s fictional characters especially from Godfish story and Necronomicon art. Do you remember the Robotic Spider Dress by Netherlands-based fashion designer Anouk Wipprecht? Yes, the black outfit that was equipped with six robotic limbs which rests on the wearer’s shoulders and protects their personal space. Well, the tech designer is back with the updated version of the creepy dress. Called Spider Dress 2.0, Wipprecht has taken the help of 3D printing to create this unique piece of wearable technology. 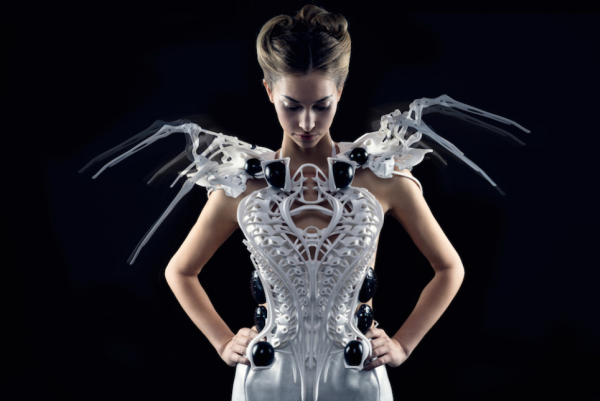 Giving an impression of an outfit from a sci-fi movie, the mechatronic dress is packed with 3D printed proximity and respiration sensors which responds to external stimuli and offers protection to the personal space of a wearer. 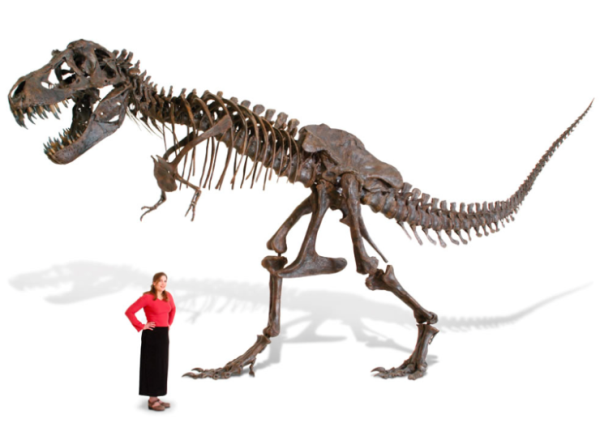 How about a life size Tyrannosaurus Skeleton replica for $100k? If you are looking for something out of this world for your playroom, then the Life Size Tyrannosaurus Skeleton replica offered by Hammacher Schlemmer is just for you. Though as cool as it sounds, with a price tag of $100,000, you certainly need to have a massive bank account to own this one kind of a sculpture. Weighing 1500 pounds (680 kg) and spanning 40 feet from tail to snout, the huge sculpture is a life-size replica fossil skeleton of Stan, a Tyrannosaur that was discovered in Black Hills, South Dakota back in 1992. You must have seen people with their bodies covered in tattoos, but have you ever seen a motorcycle covered in real tattoos? Well, if you haven’t, which is the most likely case here, we have got one such custom motorcycle for you. Game Over Cycles, Polish custom bike manufacturer have created a motorcycle that is inspired by the art of permanent body adornment. 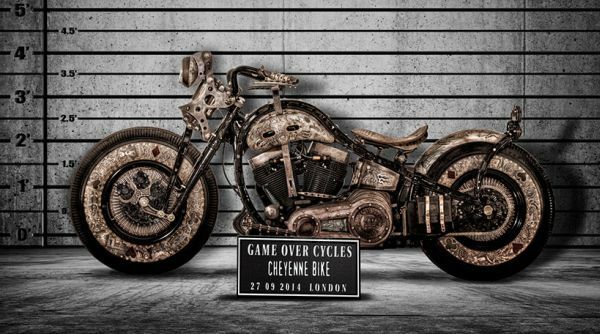 The Cheyenne Bike which is branded as The Recidivist is created by GOC in collaboration with Germany based Cheyenne Professional Tattoo Equipment and Zodiac Performance Products for Harley-Davidson that supplied professional motorcycle parts for the construction process. Where many artists focus on showcasing their artwork through huge paintings and drawings, Mesut Kul, a Turkey based artist seems to have taken the opposite approach. 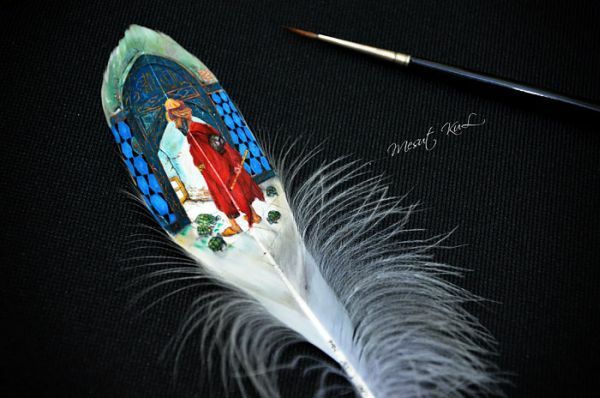 The creative artist is known for drawing micro paintings on variety of objects including tiny seeds and feathers. Besides that, he has displayed his artwork on butterfly wings, pocket watch, rice grain, cashew, noodles and even a hair which can be regarded as world’s smallest canvas. How about a Japanese Batman? 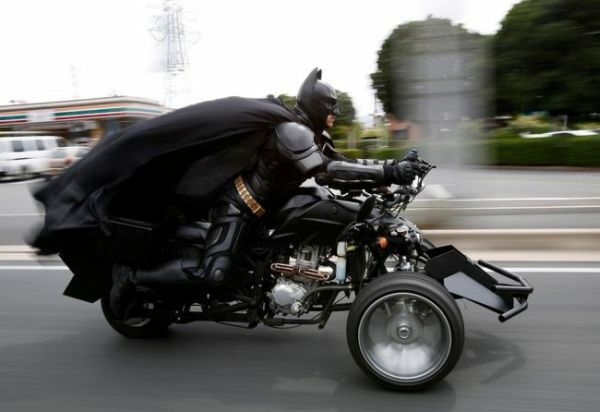 Chiba, a city south east of Tokyo have its own batman that rides on his Batpod through the streets of the city spreading smiles to the people. Known as Chibatman, the 41-year-old man came up with the sobriquet by adding the first three letters of his city’s name to the title of one of the most famous comic book superheroes.